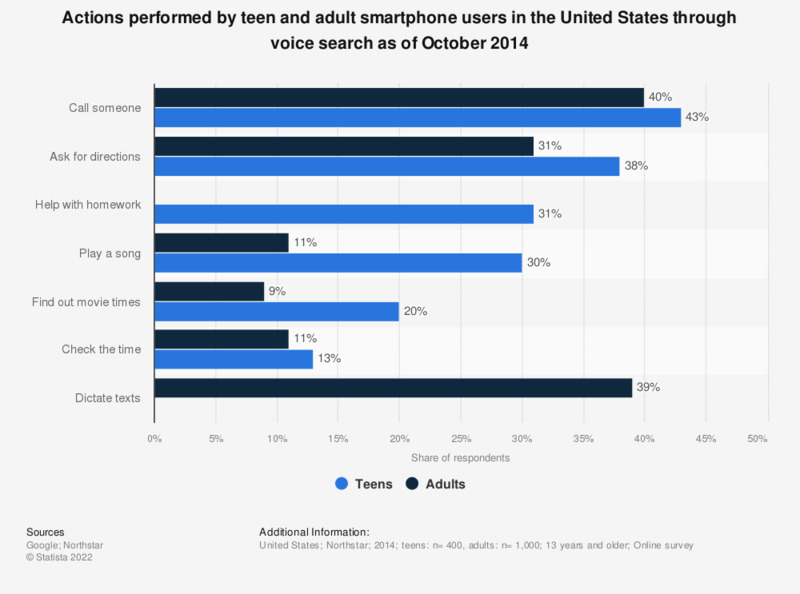 This statistic gives information on actions performed by teen and adult smartphone users in the United States through mobile voice search as of October 2014. During the survey period, it was found that 31 percent of teenage respondents used voice search to get help with their homework. Teenager: 13-17 years old; adults: 18 years and older.